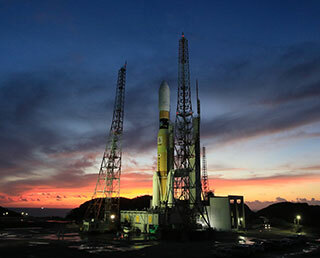 JAXA announced that the second Epsilon Launch Vehicle with Exploration of energization and Radiation in Geospace (ERG) on board will be launched sometime between 8 p.m. and 9 p.m. on December 20, 2016 (Japan Standard Time). 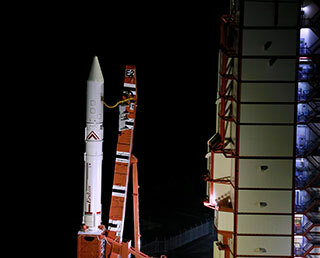 Live launch coverage from the Uchinoura Space Center will be carried on YouTube. More detail will be available shortly. At 0:58 p.m. on October 30 (Sun., Japan Standard Time), Astronaut Onishi came back to the Earth safely on the Soyuz spacecraft (47S), which successfully landed in the Republic of Kazakhstan. Astronaut Takuya Onishi started his expedition mission at the International Space Station (ISS) from July 9, 2016, and engaged in various scientific experiments. 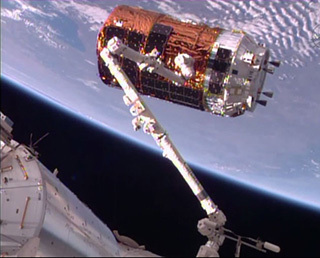 He also manipulated the robotic arm for capturing the Cygnus cargo spacecraft as the first Japanese Astronaut. Astronaut Onishi returning to Earth on Oct. 30 (JST)! Astronaut Onishi is returning to the Earth at around 12:59 p.m. on October 30 (JST) after completing his long stay at the International Space Station for about four months. 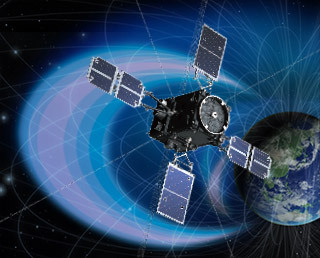 JAXA is broadcasting his return trip live through the Internet. You can also watch the live report at some public viewing spots in Japan. Let's support and cheer on his homecoming. JAXA held a media briefing with UNOOSA in the 26th International Astronautical Congress (IAC 2016) at Guadalajara, Mexico. During the briefing, there was an announcement of the second round along with introduction of the programme. 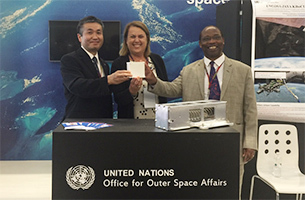 Moreover, the representative of the University of Nairobi presented a summary of a satellite “1KUNS-PF”, which was the first to benefit from KiboCUBE. The Soyuz Spacecraft with Astronaut Takuya Onishi onboard lifted off at 10:36 a.m. on July.7 (Thu., Japan Standard Time,) and docked with the International Space Station (ISS) on July.9 (Sat). 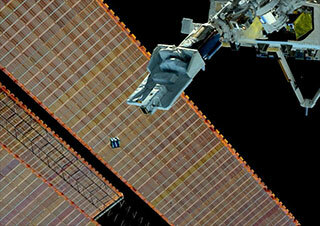 After the hatch to the ISS opened at 3:53 p.m., His first long-term stay there has started. 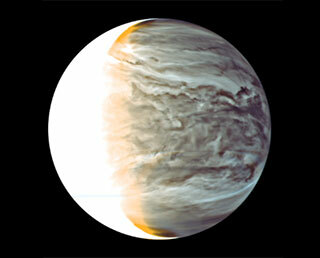 He will live there for about four months as a flight engineer for the as the 48th and 49th expedition crew and perform science experiments and robotic operations. The Soyuz spacecraft with Astronaut Takuya Onishi aboard was launched from the Baikonur Cosmodrome (Republic of Kazakhstan) at 10:36 a.m. on July 7 (Japan Standard time.) The Soyuz will dock with the International Space Station on July 9　(Sat.) JAXA will broadcast a live report of the Soyuz crew including Astronaut Onishi entering the ISS from 3:00 pm on July 9. Please watch it! Astronaut Onishi leaving for space on July 7! The Soyuz spacecraft carrying Astronaut Takuya Onishi is scheduled for launch at 10:36 a.m. on July 7 (Japan Standard Time.) JAXA will broadcast his departure and entering to the ISS live via YouTube. Please witness them! Please send him a support message via the following website or Google+. Roscosmos State Corporation for Space Activities announced on June 6 (Moscow Time) that it will postpone the launch of the Soyuz Spacecraft (47S/MS-01), on which Astronaut Onishi will be aboard. The new target launch date is 10:36 a.m. on July 7, and the date will be finalized and announced after coordinating with partners of the ISS. 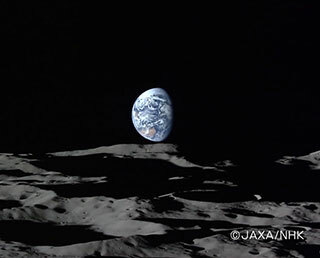 JAXA will broadcast their departure live on YouTube. Astronaut Onishi continues his training for the final test to be aboard the Soyuz spacecraft (47S) at the Gagarin Cosmonauts Training Center (GCTC) in Russia. The Soyuz spacecraft, which Astronaut Onishi will be aboard, is under preparation targeting the following launch date and time. We will update the information as the launch date and time will be officially finalized. *The above date and time are targets, thus they are subject to change. Please send him a support message via the following website or Google+ . JAXA, Tohoku University, Hokkaido University, the Department of Science and Technology (DOST) of the Republic of the Philippines, and the University of the Philippines Diliman, successfully deployed “DIWATA-1,” the first Philippines microsatellite, from ISS/Kibo at 8:45 p.m. on April 27 (JST). We have successfully cooperated and contributed to each other for this epoch-making mission in the history of the Philippines' space development, and accordingly we achieved intimate cooperative relations between Japan and the Philippines. A small Philippine's 50-kg class Microsatellite "DIWATA-1" is scheduled to be deployed by the Kibo's Small Satellite Orbital Deployer on April 27 (Wed., JST). 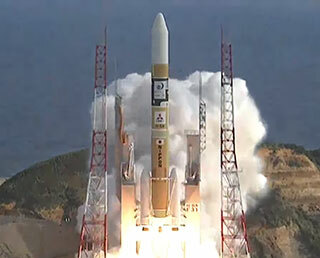 This is the first attempt to deploy a 50-kg class satellite by the Japanese system. Astronaut Onishi will go to space as a crew member of ISS Expedition 48/49 from June 2016 for his first ISS long stay mission. 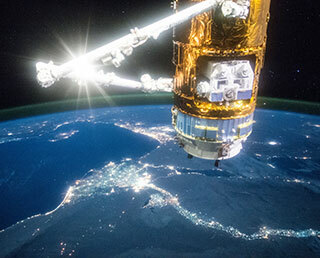 His trip will further strengthen Japan’s reliability as a member of the ISS project. Astronaut Onishi was a former pilot working for a private company, and it is very rare that a civilian pilot becomes an astronaut. He will increase Japan’s reliability in the ISS project through his activities, such as experiments on Kibo and operations at the ISS, during his long-term stay there. Your support will be very much appreciated. 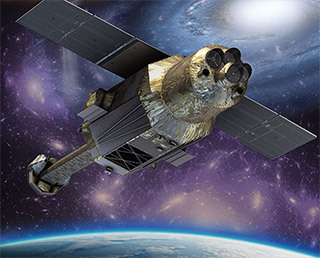 JAXA was not able to receive signals from the X-ray Astronomy Satellite "Hitomi" (ASTRO-H) when the operation started (at around 4:40 p.m.) on March 26, 2016, and we have not been able to confirm the satellite status since then. 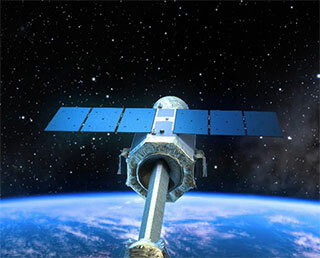 JAXA is doing its utmost to restore communications with the satellite while investigating the cause with the help of the project team and other staff members. * The call for application was closed. Thank you ! 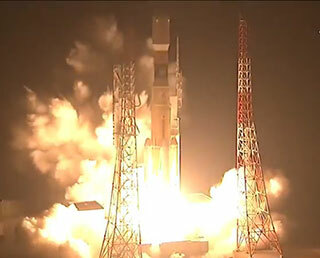 ASTRO-H successfully launched and named "Hitomi"
The live launch report will begin at 5:25 p.m. on Feb 17 (Wed. ,JST). The report will be broadcast through the Internet. First announcement for the third "Space Environment and Kibo Utilization Workshop (SEKUW)"
"Glacier and Glacial Lake Inventory" was updated (Ver. 16.11). Turkey hands over samples to Japan for space environment long-term exposure experiment to be conducted under Turkey-Japan cooperation on Kibo utilization! Samples to be loaded onboard “KOUNOTORI6”. ALOS-2/PALSAR-2 Observation Results on M 6.2 earthquake in central Italy. Calibration Result of ALOS-2/PALSAR-2 JAXA Standard Products:Evaluation results of PALSAR-2 standard products were added. Kenichi Shishido Deputy Director General, JICA　"Japanese Space Technology Protecting Forests Around the World"